Are You Spraying and Spreading? [Bed Bugs Spray Spread] Eliminating most indoor pests can be as simple as laying out traps, dusts or a chemical spraying. But for bed bugs, this process can be a real challenge. This “not so uncommon” bug is so good at hiding that, unless you see the bug, you’re only spraying surface areas. Uninformed people waste needless amounts of chemicals each day. And to make it worse, these chemicals accumulate, causing a toxic environment. Bed bugs find us through the CO2 we expel when we breathe. To avoid chemicals, they move to safer areas to get away from it. These areas are usually deep in cracks and crevices. Today’s bed bugs show compelling evidence of developed resistance to these chemicals. Chemicals don’t kill the eggs stage. Within 7 to 10 days [under proper conditions], these eggs begin to hatch. The overuse and repeat layering of chemicals causes even more resistance issues. Sometimes, you might feel compelled to rip apart your bed in search of bed bugs. Removing sheets and other bed linens is okay, as long as you roll them into the center of the bed and place them in bags. But, removing the mattress may cause bed bugs to fall off and land somewhere else. You’re better off leaving it alone until we can come in and inspect. Another way people spread them is by sleeping in another room or their couch. Remember, bed bugs will follow you! If you suspect bed bugs in any way, STOP! Don’t run to the store and buy a bug spray thinking it will work. Give us a call to come out and inspect first. Why Mass Bed Bug Busters? We have many years of experience with bed bugs and client’s like you. Our canines “smell” and pinpoint exact hiding locations. With this knowledge, we can tell you the extent of your problem. And with this information, you can make an informed decision to put an end to your problem. Our number one goal is to educate you in the best way to end your problem. And next, create peace of mind. 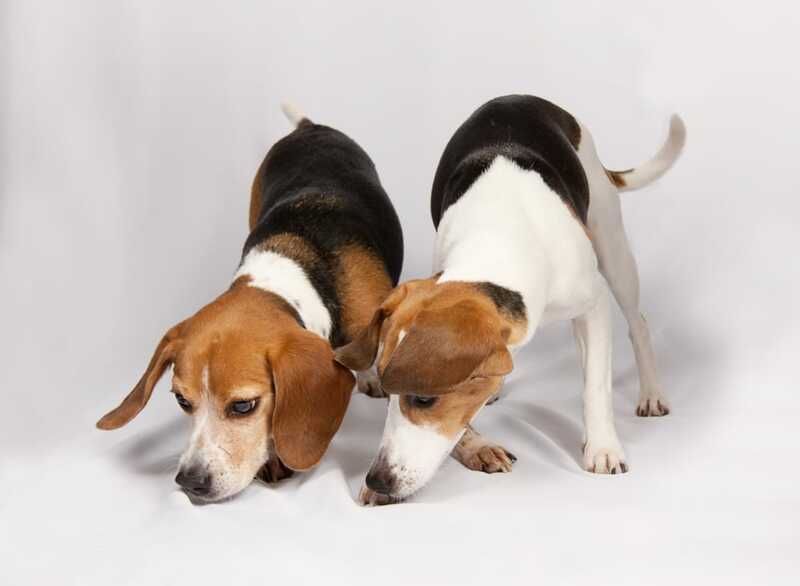 When our best friends locate hidden bed bugs, you’ll see why our best friends become yours!